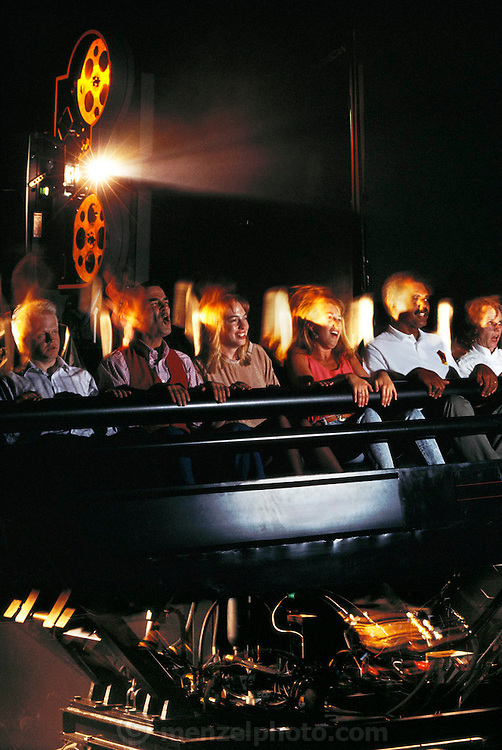 Showscan developed moving theater seats and enhanced movie projection that work together to give audiences bigger thrills. Film is projected at 60 frames per second to enhance clarity and seats on hydraulic lifts follow movie action. Hollywood, California. Shot for the book project: A Day in a Life of Hollywood. USA.